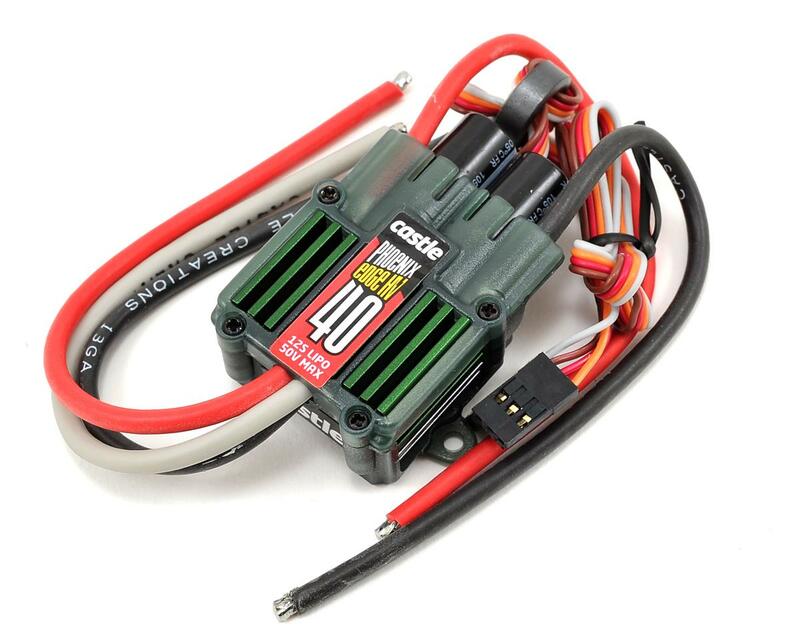 This is the Castle Creations Phoenix Edge 40HV 50V 40-Amp ESC. 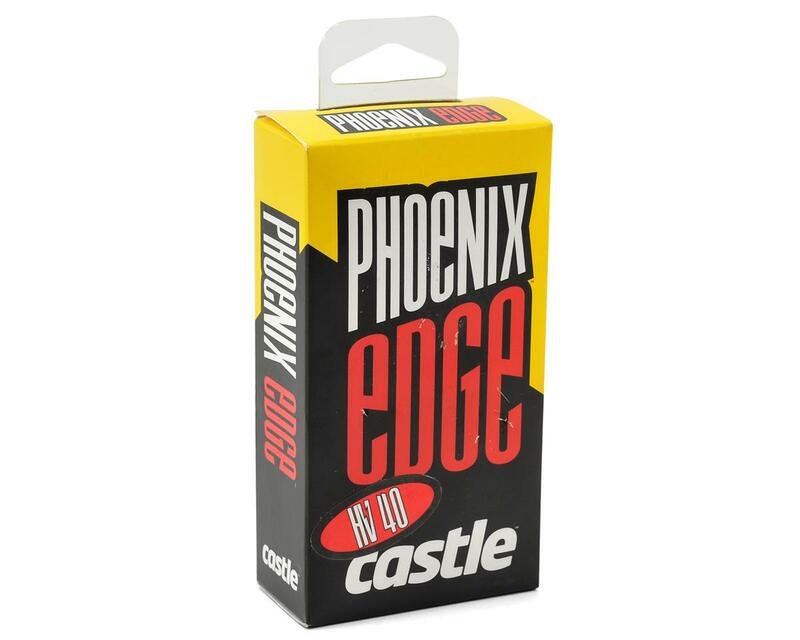 The next evolution in speed controller technology has arrived with the debut of the Phoenix Edge series ESC's. The Edge series features a user programmable auxiliary wire capable of functions modelers have only dreamed of, until now. The white auxiliary wire can be used for helicopter governor gain input adjustments mid-flight, serve as an audible beacon after an “unexpected landing”, act as an RPM output for 3-axis gyros that support RPM sensors, be used as an ESC arming lock (coupon for free Arming Lockout Key included) or as a receiver arming lock. Combined with the data logging capability the Edge series of controllers offer, users can enjoy unparalleled versatility.